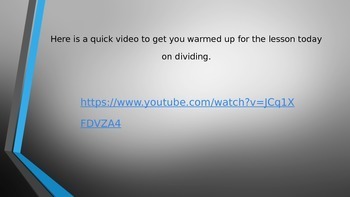 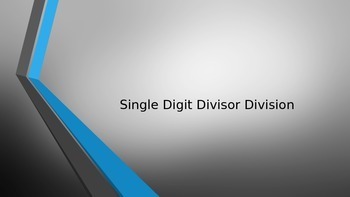 This is a power point that has songs to sing along to help the students learn the steps to long division with a single divisor. 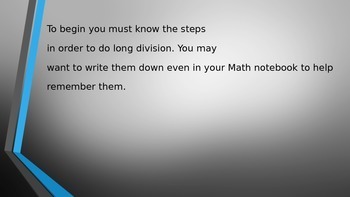 It also uses helpful hints on how to remember each step. 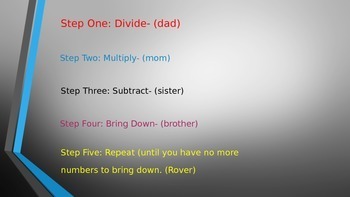 In addition it has fun games you can use for extra practice together or have them do during a math workshop.